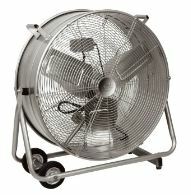 Ideal for large venue cooling and drying and features an integrated carry handle and cable tidy. The speed settings and full tilt adjustment mean that a controlled flow of air can be directed wherever needed for maximum effect. 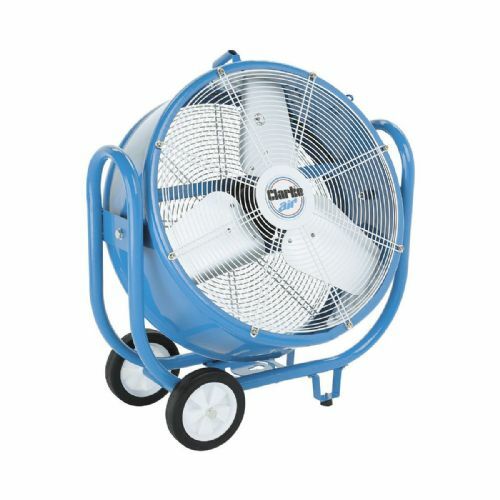 Featuring easy-to-use rotary switch controls for simple operation and stylish aluminium fan blades with a silver finish to the frame on a sturdy black floor stand, this powerful drum fan will be at home in many commercial and industrial environments. Minimal assembly required.